I was talking to a friend's daughter the other day. She's a first year elementary school teacher, which means that she's filled with energy and enthusiasm. The first weekend of every month she goes in and decorates her room. She loves monthly holidays. Do you remember how fun holidays were when you were a kid? They seemed so large and important. Sure, there were some months that were kind of duds with no special holidays involving candy, gift exchanges, or days off. 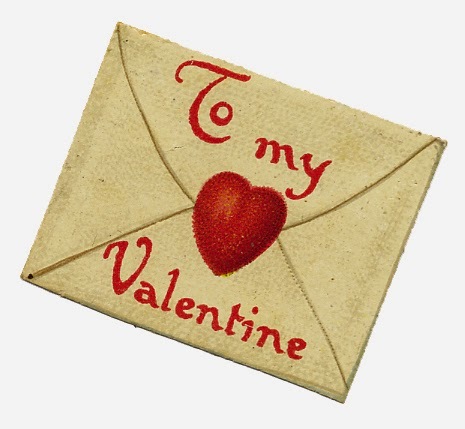 But that was a time of enthusiasm for Halloween (oh, the discussions about costumes), Easter (jelly beans and chocolate bunnies), and Valentine's Day (it was so important to pick a set of cards that no one else had and let's not forget the hidden messages in those candy hearts). Mr. Curtis dutifully buys me flowers on my birthday, Mother's Day, and Valentine's Day. But I think the key word in that sentence is dutiful. He feels like he has to. And for my part, I feel like we have to go out to dinner and a movie. What happened to the enthusiasm of the holiday? This year, I want to surprise my man (which means planning, because spontaneous never works when you get to be "a certain age"). I'm looking for ideas that are fun for the upcoming holiday. That's right. I'm a romance writer in need of some romance advice! 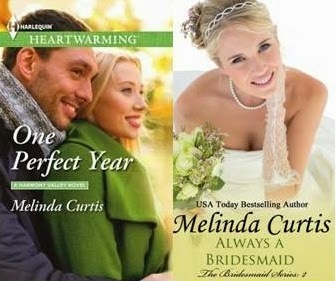 Melinda's latest release is a sweet romantic comedy: Always a Bridesmaid. The next sweet romance in her Harmony Valley series - One Perfect Year - goes on sale March 1. Oh, Melinda, I wish I could offer you some advice, but alas, I don't have a clue. No special someone in my life to help me come up with creative, romantic ideas. Good luck! For our last anniversary, I wanted a special romantic dinner at home. I cooked, he served the wine. No phone calls and no Internet for two hours. We just chatted and reminisced about our happy memories. It was lovely. We tend to go out to dinner and occasionally a movie. Sometimes we cook at home to celebrate as well. Hubby usually buys me flowers, which I love. I hate to admit this as I'm a romance writer, but my husband is more romantic that I am! Sorry, I have no other suggestions that don't involve a large budget and time off work. Pretend you're on a first date. Ask questions that you think you know the answer to. You might be surprised by the answers, and it's a fun way to spend the evening. After my husband and I hit a dating slump, we spent a year going on weekly dates. (And of course, I documented each one and turned it into a book.) There were a lot of dinner with a movie evenings, but we also had some really memorable dates. Good luck!